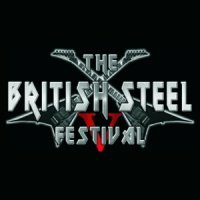 For one night at the Camden Underworld, the fifth British Steel festival offered five hours, five bands, and five very different contributions to the New Wave Of British Heavy Metal. Every other band on the bill had split up by the time Richard E. Toy and Russ Weaver formed Agincourt in the early Nineties. Agincourt chose to follow their hearts and play classic British metal, the sort of thing they grew up on, a brave and ultimately foolhardy move given the prevailing musical climate of the time. But the band's tenacity and the strength of the material on their debut album 'Angels Of Mons' made them the fitting openers for the festival, and they set the ball rolling with some degree of style. Since their dates last summer supporting the likes of Jameson Raid, Agincourt (completed by guitarist Paul Anderson and drummer Steve Riley) have been working hard to complete 'Angels Of Mons' and it was no surprise that their set was a hefty eight-track workout from that album. With singer/guitarist Toy commanding stage centre, Anderson and bassist Weaver running around like men possessed and Riley keeping things tight at the back, Agincourt are a joy to watch and listen to, and you'd be forgiven for thinking that the band, who have only recently reformed, were battle-hardened veterans of many years on the road. They sold a lot of merch after they came off, which indicates that they not only made a lot of new friends that night but also that they have a bright future ahead of them. The opening strains of 'Crusader' brought Saracen to the stage. Being more Magnum than Maiden, Saracen offered a progressive, keyboard-driven and less frenetic approach to the evening's entertainment, but that's not to say that their set was any less exciting than any other band on the bill. Rumours that they'd be playing their magnificent 1981 debut album 'Heroes, Saints & Fools' in its prog-metal entirety were pretty much on the nail, although the running order was slightly re-jigged and the instrumental 'Dolphin Ride' was replaced by the band's anthem and oldest song (so old that it was written when a formative version of the band was still called Lammergier) 'Follow The Piper'. Saracen operate now as almost two entities, with a studio band and a touring band, so onstage only frontman Steve Bettney still remained from the original line-up, although his voice now is as good as it was way back when and he handled the sometimes strenuous vocal passages with apparent ease. Keyboard player Paul Bradder joined in 2003 and also contributes to the band's recordings, while the rest of the onstage crew – bassist Paul Highfield, drummer Tris Alsbury and ever-smiling guitarist Simon Roberts – perform with just the touring band. Anyone familiar with the album will know that highlight follows highlight, but to my mind it's the title track that's the heart and soul of Saracen and the song received the biggest cheer on the night. As befits a band who were at the forefront of the speed metal boom, Jaguarcame on unfashionably early, raced through their set like a fury and then found time to squeeze in an encore, too. With hoodie-wearing frontman Jamie Manton running around both the stage and the venue like a loon and literally pogoing – for those not in the know his mikestand is actually a pogo-stick – when not otherwise engaged, the West Country act simply demanded attention, and it was impossible not to get swept along with the energy and enthusiasm that radiated from stage. With the rhythm section of Simon Patel (bass) and Will Sealey (drums) working hard to keep a rock-steady foundation and the hyperactive Manton front and centre (and pretty much everywhere else, come to that! ), stage left saw original member Garry Pepperd hunched over his fretboard, calmly riffing 'n' soloing with fluid dexterity; and such was the band's dynamism that their forty minutes flew by in an instant. With little fuss and maximum effect Jaguar opened their set with the title track of their 2003 outing 'Run Ragged', but after that it was pretty much a magic carpet ride back to the early days with everything else either coming from or pre-dating the band's 1983 debut album 'Power Games'. On balance, Jaguar were probably the best received band of the night, and when you watch and listen to them now you have to wonder how it all went so horribly wrong the first time round. They could, should and would have been huge. Torn between commemorating the twenty-fifth anniversary of their debut album 'The Son Of Odin' (which they have been playing from start to finish at various shows across Europe) and showcasing last year's 'All Hallows Eve' release, Elixir chose to split their set between the two, although the twenty-fifth birthday boy got the lion's share of the stage time. Throwing caution to the wind, Messrs Taylor, Gordon, Denton, Dobbs and Dobbs hit the crowd with three off the latest album, all of which went down extremely well despite being unfamiliar to some. But a great song is a great song, especially when performed by a band seemingly at its peak: the twin guitar work of Stormin' Norman Gordon and Phil Denton is a metal fan's delight, the rhythm section of bassist Kevin Dobbs and his tub-thumping brother Nigel is a well-oiled machine, and up front Paul Taylor is one of the most able – and personable – frontmen around. After those opening songs it was back to more familiar ground and 'The Star Of Beshaan', the opening cut from that debut album, and from thereon in it was party-time as the band romped through four more cuts from '…Odin', including the ever-present 'Treachery (Ride The Wind)', the single that started it all off for them, and finishing with the album's evocative title cut. Yet there was still one more surprise to come. "Things went so well that we got ahead of schedule," says Phil Denton, "so we did 'Knocking On The Gates of Hell' [a single lifted from the 'Mindcreeper' album] at the end." With the previous bands showcasing some of the best of speed, symphonic and trad metal, it was left to Pagan Altar to close the festival with a healthy set of doom-laden material. As vocalist Terry Jones explains: "to be quite honest we probably are not one hundred percent NWOBHM as we were born on the cusp with the old wave, so to speak, so our music tends to be a hybrid of the two, one being somewhat slower and a bit ponderous and the other with faster more intricate riffs, but in our case it seems to work." Too right it does! 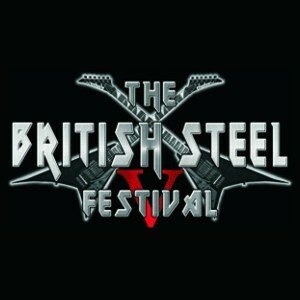 The band were of course at the last British Steel festival in 2009, when fate conspired to sabotage their set by having their drummer stranded in not one, but two motorway pile-up tailbacks. This time round there were no such infernal interventions, but the band still believed they had something to prove and a magnificent rendition of 'Pagan Altar' itself set the tone for the rest of the evening. 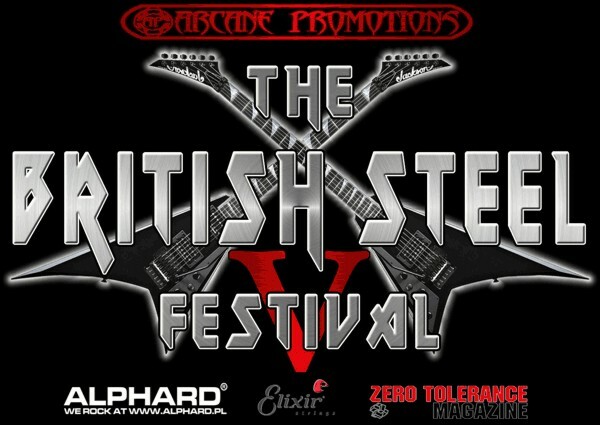 There have been a few changes in the band since British Steel IV and the new-look 'Altar now features guitarist Luke Hunter, bassist Marcus Cella and drummer Deano Alexander alongside Jones and his guitarist brother Alan, although the line-up has now been together long enough to gel into the perfect vehicle for the Jones' brothers more challenging compositions. The band over-ran, so it was all a bit of a bunfight getting out of the venue to comply with its curfew, but it was still one hell of a night!